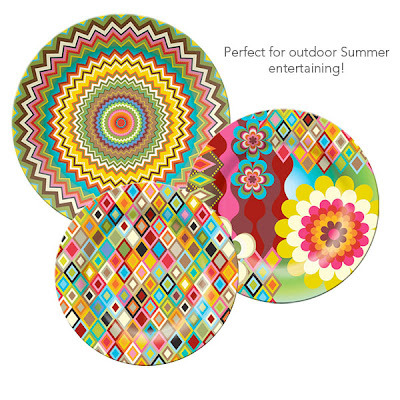 We just received some new Melamine plates and platters from French Bull just in time for Summer entertaining! These mosaic patterns will be sure to dress up any table, and are perfect for mixing and matching. Dishwasher safe and shatter proof, what more could you ask for?